Stir fried soft shell crab with curry. In a city where numerous restaurants catering to various palates, the BudgetWanderers have a strong craving for Asian cuisine in general and tries anything in an Asian menu and would definitely return for more. 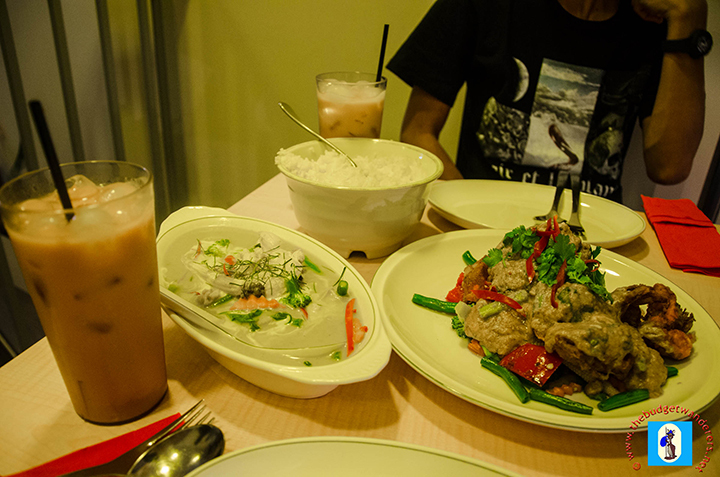 Amongst the restaurants, we frequent is the Thai restaurant, Lee La. Lee La Restaurant boasts of mouth-watering and savoury Thai-dishes without the expensive tag along with it. Its dishes range from various choices that include barbecues, stir fries and the usual curries which can be of any meat of your choice to smooth coconut–milk filled desserts. Their main dishes are an eye-opener to most as they use some ingredients you would not even thought of as being cooked and part of a main dish. Take for example lychees and grapes which are included in some of their dishes that gives the sweetness and tangy taste of fresh fruit in a traditional Thai dish. The restaurant further uses an MSG-free cooking technique, relying heavily on various herbs and natural seasoning, making it allergen-free for those who despise MSG. However, those on various diets will not be able to resist the temptation of trying any of their dishes as they are rich in flavour and taste. Try their curries (any of them) as they are scrumptious and enjoyable. Their stir-fries are also worth the try as well as their barbecues and seafood dishes. Amongst their desserts, we have tried both the Bua Loy rice ball in sweetened coconut milk and the Tub Tim Krob stuffed chestnut in syrup and coconut milk served with crushed ice. They are both heavenly and rich, which compliments the savoury taste of their main dishes. 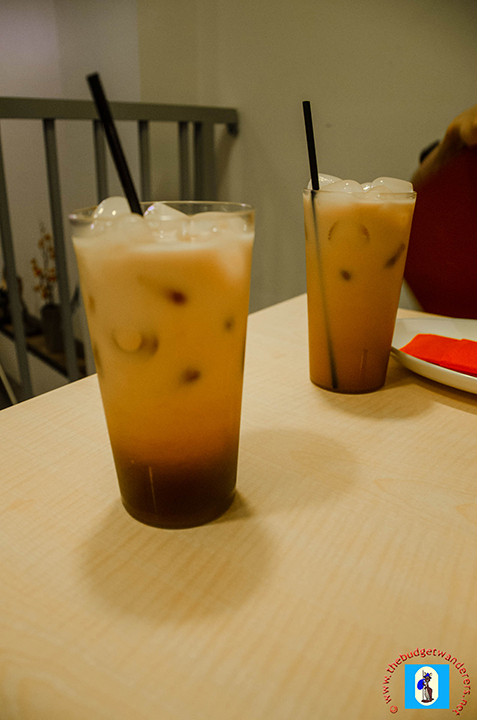 In their list of refreshments, we highly recommend the Thai Milk Tea, which is refreshing and thirst-quenching at the same time. 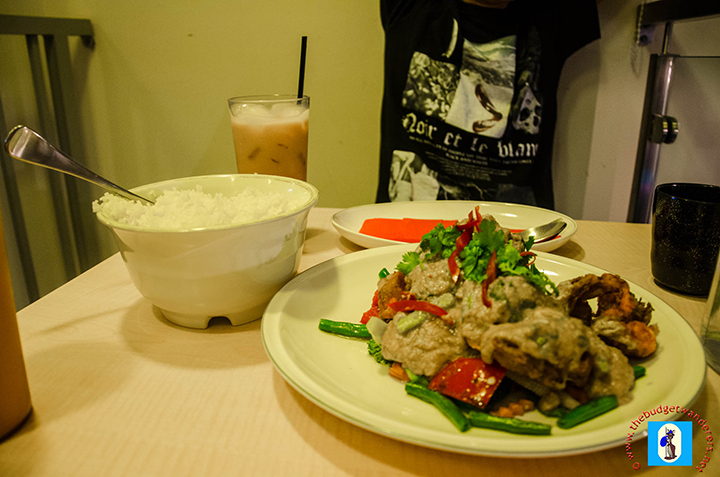 Green curry and stir fried soft shell crab with curry. The restaurant, though small, has comfy seats with great minimal table arrangement that makes the whole experience relaxing and cosy. It is best, though, to ask for reservation as the restaurant is fully booked especially when events and occasions arise in the city. Staffs are accommodating and hospitable, even when they’re busy, providing an atmosphere of great food with great servers. I reckon, that they’re smiles lighten up and make your dining experience more worthwhile. 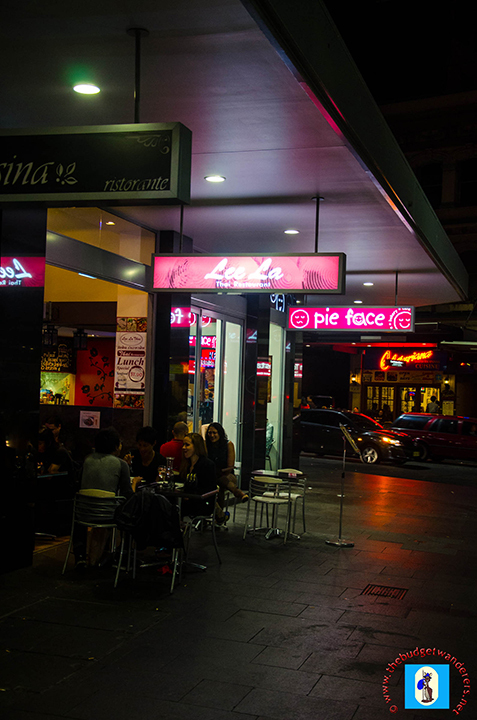 Lee La Restaurant is located near the corner of Liverpool Street in Sydney. They really are. Very tasty as well.